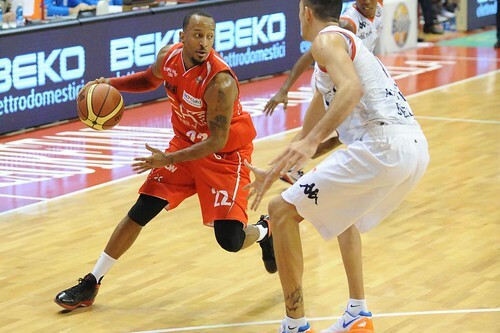 In Biella, Olimpia won (99-96 after two overtimes) the fifth consecutive road game. The streak began in Siena, and then continued in Cremona, Montegranaro, Pesaro and Biella. The road record is now 5-2. The two losses took place in the first two games, in Bologna and Avellino. Olimpia won five consecutive road games last year too, the last four in the regular season (Montegranaro, Avellino, Roma, Treviso) and the playoffs’ first in Venezia before losing Game 3 in Pesaro (semifinal series). But it didn’t win five road games in a row during the regular season. The next game will be in Brindisi two Sundays from now.